Mayo is well serviced by road, rail & air--learn more about getting to mayo. Mayo Walks on Facebook--Mayo Walks on Facebook. Learn more about this walk. 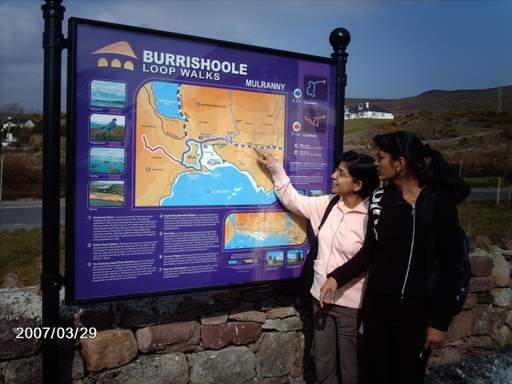 Get Active and Enjoy the Great Outdoors in Co Mayo! Mayo's has so much to offer both walking and cycling enthusiasts from its largely unspoilt, clean countryside, varying landscapes, unique scenery and rich heritage and folklore mark it as the ideal walking and cycling destination. Mayo offers all kinds of trails including Mountain, Coastal and Island, Rural and Urban Greenways and National Loop Trails. The variety of trails on offer is endless. Here you will find an abundance of information including directions, detailed maps, descriptions and photographs. Check out Walking Trails for more information. Mayo as a coastal county has some wonderful cycle routes to choose from, some of which include the Great Western Greenway and the National Costal Trail. The Great Western Greenway is the longest off-road cycling trail in Ireland and is the first portion of the National Cycle Network to be developed. It offers the potential to connect Mayo's existing cycle hubs at Westport and Achill. Check out our Cycling Section for more information.